Your customer’s inbox today is a busy place. Consumers are becoming increasingly selective about the messages they receive. This e-book explores how Salesforce Marketing Cloud can help you break through the clutter with several key features including personalization, real-time automation, and predictive intelligence. 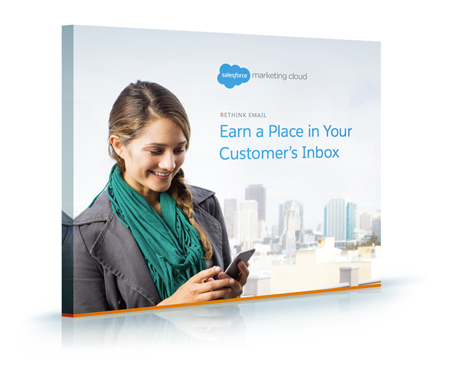 Use email to create 1:1 personal journeys that turn prospects into brand advocates.